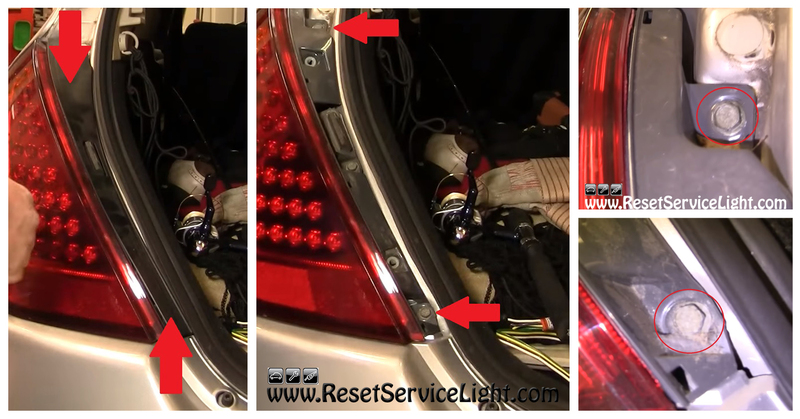 DIY, change the tail light assembly on your Nissan Murano, the model made between the years 2003 and 2007. You will need a 10 mm socket wrench to make this replacement and about 20 minutes of your time. You will have to open the back door of your car, in the beginning. Next to the tail light that you need to replace, there is a plastic cover that can be pried out by hand (see pictures below). After you remove it, you will have to undo the two 10 mm bolts behind it. You can do it easily, using a proper tool. Now you will have to pull the tail light assembly out, firmly. It has two guiding pins on behind, that can be tricky sometimes. After you detach the assembly, unplug the connector that powers everything and remove the assembly completely (see next image). If you have a tail light with L.E.D.s, you will just have to replace it with a new one, but if your tail light has halogen bulbs, you might need them moved to the new assembly. You can do it very simply, by twisting their sockets counterclockwise. At this point you can install the replacement part into the body of the car. Plug back the connector first, use the guiding pins and then the two bolts to secure the assembly and in the end, reinstall the plastic trim panel. 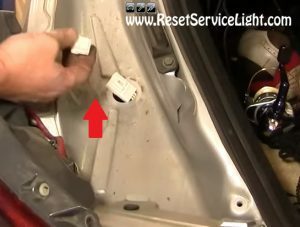 These are the steps you can follow, if you wish to remove and replace the tail light on your Nissan Murano, the model manufactured between the years 2003 and 2007.